A lot of heads were turned last year with the release of delightful indie title Wandersong. Now, it appears that the developer of the colourful and emotional title, Greg Lobanov, is already at work on their next game, Drawdog. At this point very little is known about this venture, save for a Gif posted on the game's new twitter account. It appears to show the titular Drawdog wishing us all a warm welcome by painting "hello" on their monochrome landscape. Perhaps this could be a puzzle-adventure, where colour and artwork get you out of a pinch. It could be anything, frankly, though I doubt it's a one-on-one fighter. 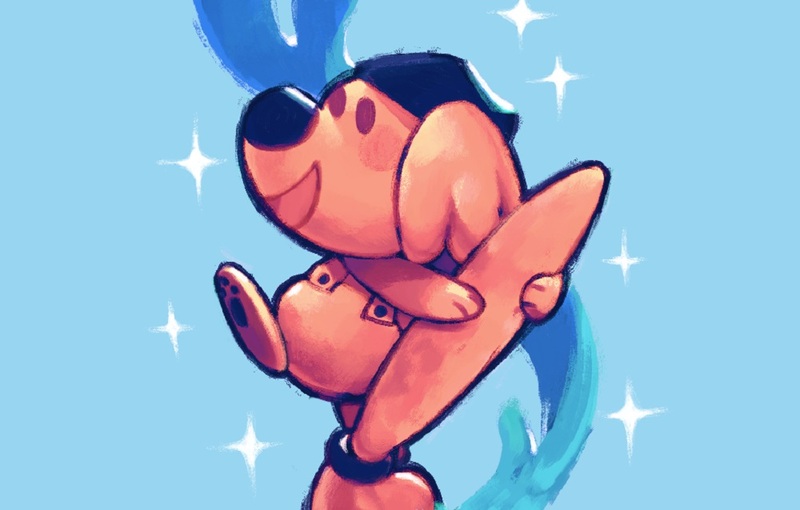 More information about Drawdog is said to be "coming soon". Given the imagination and creativity shown in Wandersong, this looks like a project worth keeping an eye on.